The mobile market has quickly surpassed eCommerce and shown exponential growth over the years as tablets and mobile devices become more popular for online shopping purposes. The mobile revolution has generated a whole new market for retailers. According to Forbes, 2013 Holiday eCommerce sales rose 15%, while mCommerce revenue rose 68% from 2012. Additionally, estimates show “mCommerce will generate $41.68 billion of the total 262.3 billion of eCommerce sales for the year.” Though the total revenue figure for eCommerce is larger in whole, the rate of growth for mobile shows signs of shifting consumer behavior and the adoption rate of mCommerce. In order to stay relevant for consumers in 2014 and beyond, companies must create an overall positive mobile web experience by making the path-to-purchase easy and accessible via mobile, tablet, or wearable devices. Mobile devices have become more first-screen experience when researching products, making in-store purchases online, and ordering products on the go. Mobile devices have allowed for a more convenient experience for customers who can now order quickly online with the power at their fingertips. By providing a great mobile user experience, it increases the site engagement and the mobile conversion rates for companies with a mobile friendly online store. eCommerce continues to be a large percentage of the online market and is growing steadily over the years, however as mobile devices continue to become more powerful and faster than other connected devices - consumers are shifting their buying habits toward mobile. The growing capacity of mobile and tablet devices makes it inevitable they will serve as the primary source for purchasing. 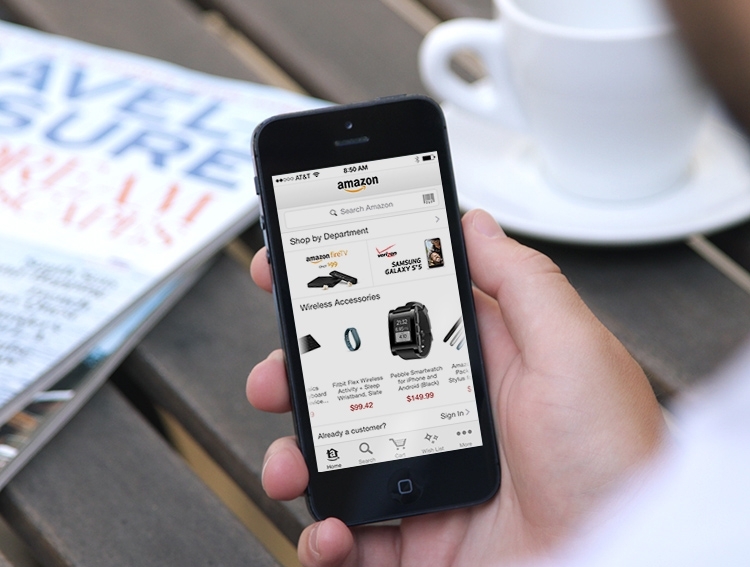 Amazon and eBay have been early players in mCommerce over other e-tailers. They have created the ultimate shopping experience for customers on mobile with easy payment methods, competitive pricing compared to brick-and-mortar stores, and a vast array of product offerings. For example, Amazon increased its mobile profits by $8 billion in 2013 due to their newest innovative app making it possible for customers to purchase on the mobile app. Businesses willing to accommodate multi-device experiences with an online store that allows users to easily purchase items via mobile devices will turn mobile visitors into loyal customers. The mobile market provides a huge opportunity for companies to expand their business by specially optimizing their site to be mobile responsive to create a positive buying experience for customers. The mobile technology driven generation has greatly influenced the shift towards mCommerce, and has opened a whole new consumer market. Purchasing behavior has shifted from desktop to mobile, and companies with mobile-first responsive web design have the advantage. mCommerce is beginning to become the new eCommerce, and is creating more opportunities for companies to gain higher revenue. Published on June 4, 2014 .